The Software Is Compatible With Windows 10, 8.1, 8, 7, Vista, XP, Server 2008 & 2012 And All The Below Versions. Now you don't have to go through the search process if the WLM emails files are located in the default storage location. The Windows Live Mail Viewer software will automatically detect storage location of configured WLM files. The WLM Viewer software helps a user to view all the emails along with attachments like Image, Doc, PDF in depth. The tool helps in analyzing the emails deeply. You can view them easily with the help of free software. If you want to sort out the emails in a particular order, then you can do that using the built-in feature of the tool to categorize the emails based on their attribute type such as To, From, Subject, Received Date. 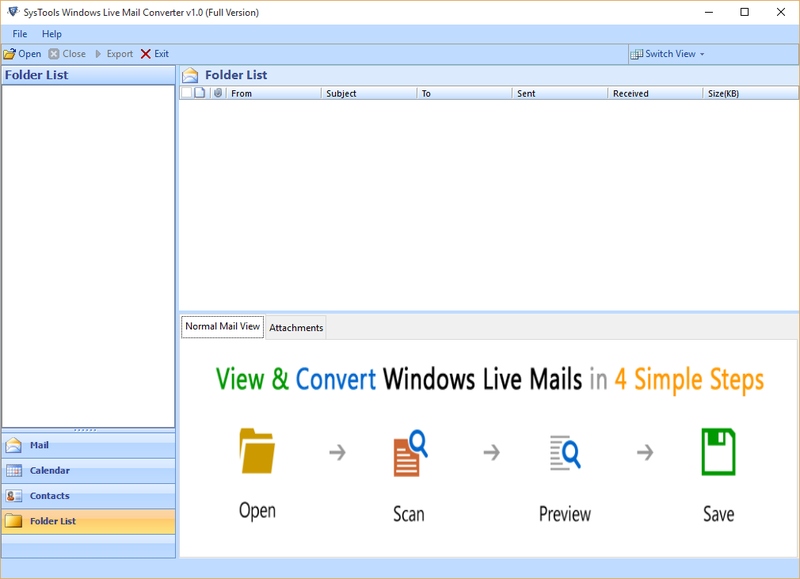 There is no need to go through the rigorous process to perform the scanning of the EML folder as the FreeViewer Windows Live Mail Reader software is an easy solution to perform email scanning & viewing. 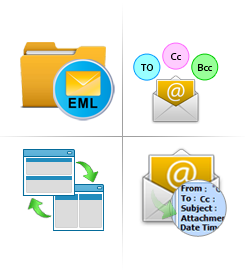 Auto File Detection Capability: The software locates the .eml file created by Windows Live Mail email client at its default location. In some cases, when the software is unable to locate the file, you can manually provide the location as well. View Email with Attachments: You can easily view all your emails along with attachments after scanning process. You will be able to view everything in the view panels of the software. Windows Support: You can run the application on any Windows Operating system such as Windows 7, 8, 8.1 or 10. This will help in cases if you have recently migrated to the newer version of the Windows OS and no longer have any email client to view those email files. The application is great for viewing all your emails instantly that resides in the folder created by the Live Mail application. 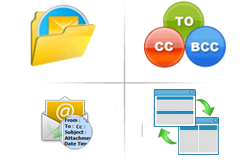 If somehow, you have your emails somewhere on your desktop and you want to take a glance what resides in all those emails, then you can easily do that with the help of Window Live Mail Viewer Tool by just downloading the application and providing the location where the WLM exists and the application will list everything that exists in a structural way. A User can also conveniently view their contacts and calendar information that exists in their WLM data file. Personal Details: Name of the individual and if you have set a nickname for that user, you will be able to view that as well. Birthday, anniversary and spouse details, etc all get listed in the Personal Detail section. Contact Details: This section covers all the contact credentials that you have set for that particular user. One can view their phone, mobile number as well as email ID and their address of residence. Note: In some cases, we try to remember the user by using the notes that we have saved his details to get the idea of that user. So, if you have done the same thing, you can easily get all that note details using the Live Mail Viewer. Using the application, you can easily view the scheduled work that you have set previously. You will be able to recall all the important events that you had participated or involved in some way. 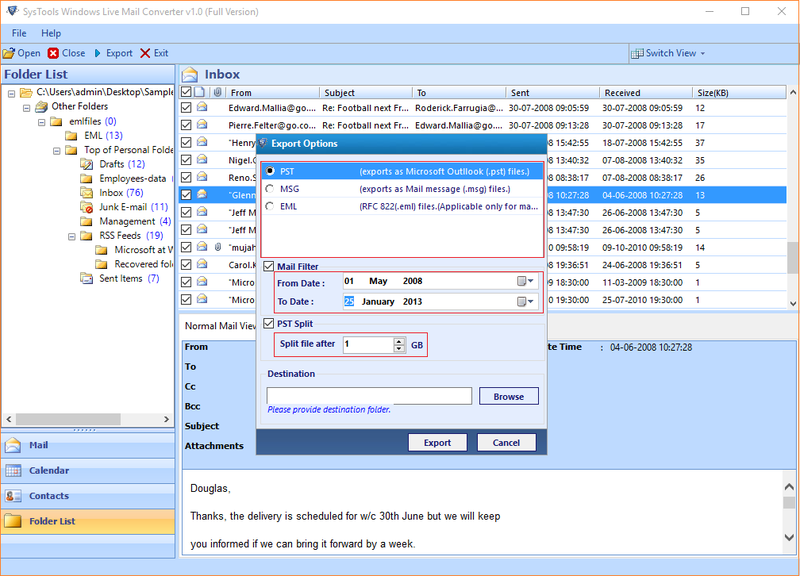 The Windows Live mail Viewer will show all the calendar information such as the Subject, location, start and end timing of the event or any associated attachment will be shown here. Explain the working of Windows Live Mail Viewer Software? 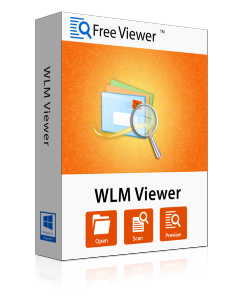 Step 1: Install & run WLM File Viewer Tool. Step 2: Click on Open button to add WLM EML file. Step 3: You can auto-detect the file from your system or browse the file by clicking on Browse button. Step 4: The software will open and show all the emails along with attachments. Why Can't I Find all Emails in One Location? 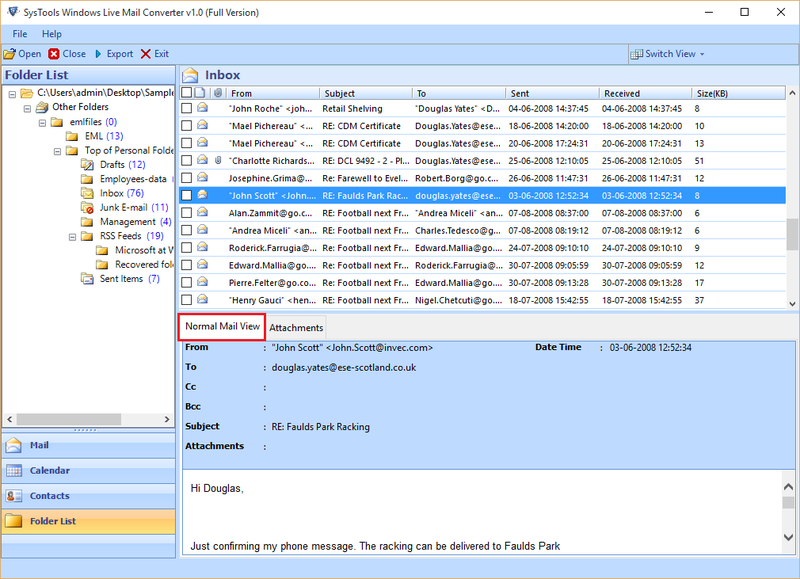 Windows Live Mail allows you to auto-detect the folder so as to help you to find emails that you are unable to reside. Your main inbox folder can get redirected to the folder that you have set. So, there is a possibility that you may have emails at other location apart from the default location. Will I be Able to View Corrupt File as Well? Yes, you will be able to view all the emails in almost in all corruption case through the application. It may take time to traverse the file and show you the output but the software will show the data. "Very easy and user-friendly tool! 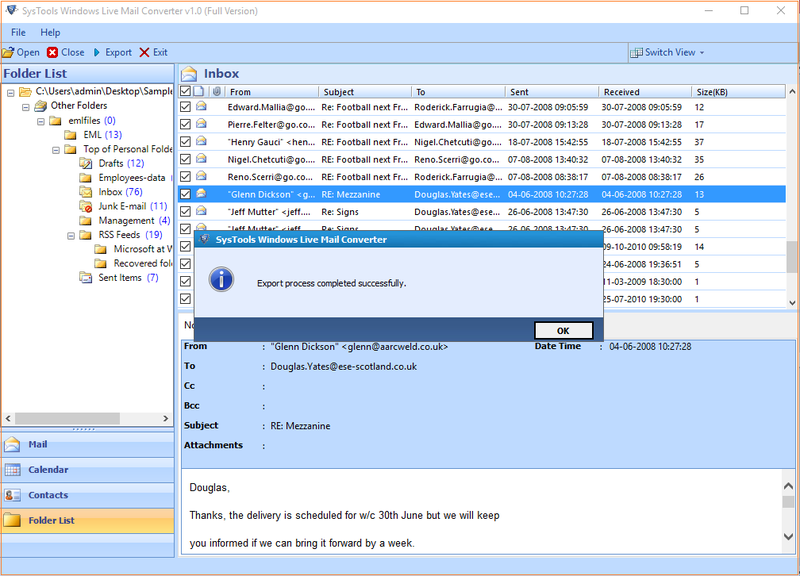 The Windows Live Mail Viewer software helped me to view all my contacts from my WLM email client. The tool is very simple to use and the user interface is also good." "Since I uninstalled the Window Live Mail, I was completely unaware of any method to access back all my emails that are stored on my computer. Your application gave me a simple and easy alternative and now, I can easily browse all my emails." "It was difficult for me to access emails from corrupted WLM file. Then, one of my friends suggested me to use this tool. Windows Live Mail Reader scans and open the damaged file and show the preview of all the data items." "I am impressed with the WLM Reader Tool as it has a number of features in a single utility. The tool works smoothly on my Windows 8.1 version. It automatically detects the file from the system and it shows the preview of the emails along with attachments."